The fact that, historically men went into the First World War riding it on horseback, and ended it riding in planes explains a lot about the role of war in the advancement of weaponry. The First World War broke out abruptly, and all the combatants had to utilize whatever they had at their disposal in order to win their side of the war. Believed by many historians as the prime cause for the rise of Hitler and the subsequent Second World War, the First World War brought to public eye a unique aspect of 17th and 18th-century warfare i.e. the clash between the Empires. One could compile a whole host of weaponry that could never have reached the mainstream production if it were not for the First World War. However, there was no shortage of all kinds of bizarre weapons and tactics that all sides deployed in order to win any little battle they could. One such peculiar and the less discussed weapon is the Flechette. 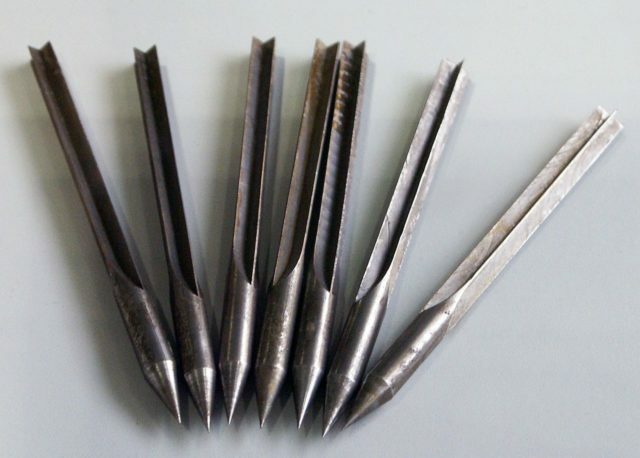 At first glance a flechette may look no different from an ordinary dart, however, upon analysis, it reveals that it is highly aerodynamic and far more deadly design. 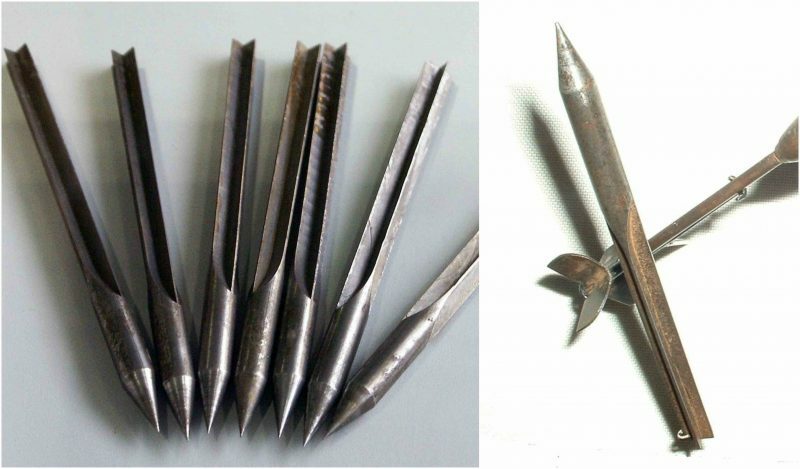 These flechettes are essentially very short rods made out of steel with a sharp pointy end, and fins on the other end to facilitate a smooth flight – or technically, descent, as the flechettes were dropped from the sky onto enemy troops as a form of medievalesque bomb. These innovative killer dots are thought to have been first invented by the Italians, sometime between 1911 and 1912; not necessarily for the battle purposes. However, when the First World War broke out armies relied on the mantra every little helps, and these darts were deployed by the French in 1914. Upon observing the effectiveness and cost-effective nature of the deadly darts, later during the war same kind of weapons were also used by the British and Germans against each other. Germans -as innovative as they were – decided to give the flechettes a more German touch. German flechettes, especially the ones they were using against the French had an inscription stamped on them saying Invention François, Fabrication Allemande meaning ‘A French invention, German made’. The idea was to give the French a taste of their own medicine with a note on it, and it did prove quite significant to some extent. 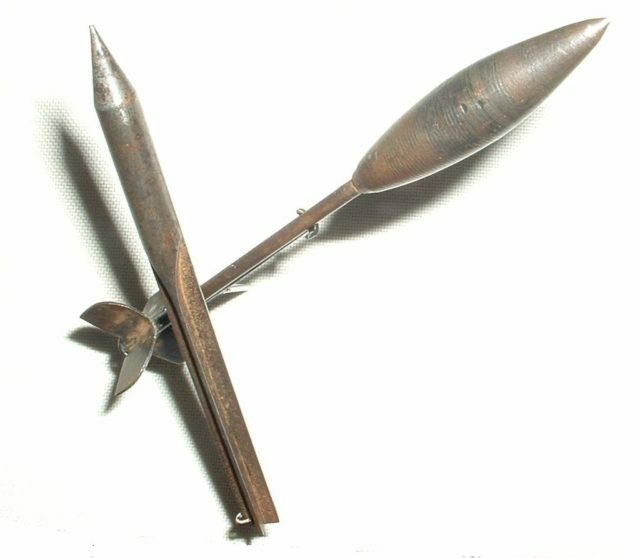 The whole mechanism of deploying the flechettes was rather a simple technique; a small canister was attached to the bottom of the fuselage of the plane which was controlled via thin string. Upon pulling the string, the canister would open dropping the flechettes on the troops or civilians underneath. Each canister would contain somewhere between twenty to 250 flechettes; however, on one occasion in 1915, a French pilot reportedly dropped as many as 18,000 flechettes over the German troops. 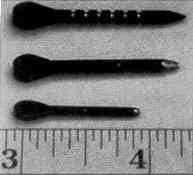 The idea behind the flechettes was that, dropped from a higher altitude these steel darts could gain enough momentum to cause considerable damage to whosoever they fell upon. Although Germans, British and French pilots extensively utilized the flechettes in the early days of the war; as the war progressed these proved less and less effective and all the parties adhered to more precise and more effective mean of destruction, i.e. the bombs.